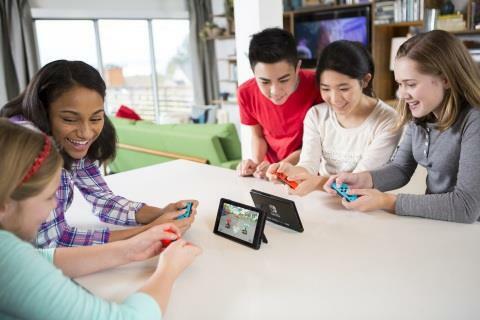 Continuing from it's record breaking March launch, the Nintendo Switch is still the top selling video game system for the month of April with 280,000 units sold. Adding to this finical boon for Nintendo, Mario Kart 8 Deluxe was also the top selling video game for the month of April as well with 460,000 physical units sold, factoring in digital sales, that's more than 550,000 units. The most impressive part is, Mario Kart 8 Deluxe launched on April 28th and these figures only account for two days worth of sales. The Legend of Zelda: Breath of the Wild came in third highest video game sales for April, 1-2-Switch and digital-only game Snipperclips – Cut it out, together! also had strong April sales rounding out a great month for Nintendo. Future titles also bring promise to the Nintendo Switch system as well, Ultra Street Fighter II: The Final Challengers from Capcom (Nintendo Switch, May 26), ARMS (Nintendo Switch, June 16), and Splatoon 2 (Nintendo Switch, July 21).